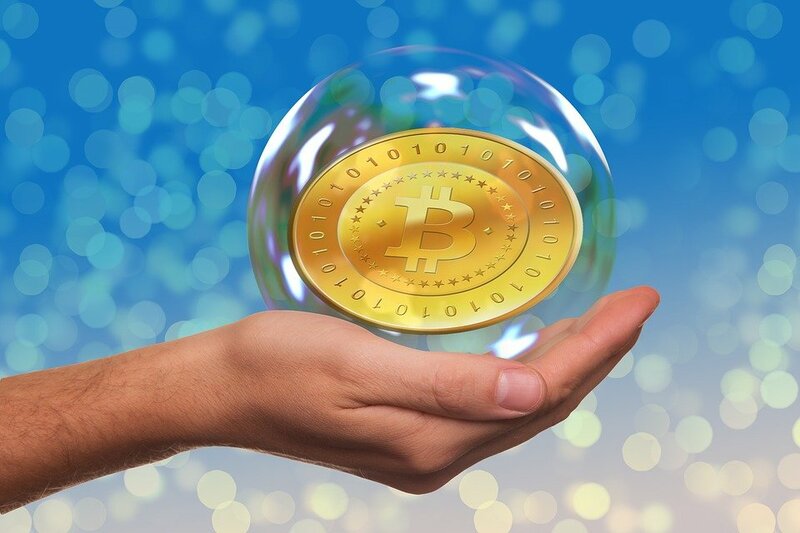 MoonProject – Is The Bitcoin Bubble About To Burst? You are here: Home » Featured » Is The Bitcoin Bubble About To Burst? Whether you’re a seasoned investor with a diverse portfolio or a newbie with a few shares, you’ve likely heard of Bitcoin. The crypto currency is extremely divisive among investors, financiers and analysts. There are those who are adamant that it is a soaring bubble that could burst at any minute, while its proponents argue that it represents a trend toward investors taking control of their financial futures and wresting control of the economy away from the financial services industry that rendered world finances so precarious since the crash of 2007-2008. Whether you come down on one of these sides or somewhere in the middle there’s no denying the facts. After rising to an all-time high, Bitcoin has recently dropped 20%, read this article about early investors predicting that its value could drop as low as 50% before we signs of the next big boom. Here we’ll look at the virtues of the cryptocurrency and how your available options if you no longer feel comfortable investing in Bitcoin. Whatever happens, it’s looking like Bitcoin is here to stay. There are a great many seasoned investors with sizeable interests in the cryptocurrency and it’s so widely used that many have deemed it quite simply “too big to fail”. For its many proponents the virtues of Bitcoin speak for themselves. It’s completely deregulated and so it is insulated from the economic uncertainties of the post 2008 world financial landscape. It can be traded anonymously through “block chain” technology which enables it to be transferred instantaneously unlike stocks or shares. In an age where many Americans are paranoid about asset forfeiture, many are attracted to Bitcoin because it is easy to move around discreetly. Find useful tips at https://trustedbrokerz.com/broker-reviews/. Whatever its intrinsic value, there are many reasons why people use and will continue to use Bitcoin. Thus, if you have invested in it, there are several options open to you. As American economist Susan Athey once said, “if people use bitcoins, they have a value”. Like any currency, Bitcoin is destined to rise and fall for as long as people continue to use it. A dip may not necessarily mean a burst bubble and you may decide to ride out this fluctuation and look to the long term. If you’d prefer to steer clear of Bitcoin and of cryptocurrencies altogether, you may prefer to put your money into foreign currencies instead. Foreign currencies are, after all, a known commodity. With the aid of a trusted Forex broker you can make significant gains investing and trading in foreign currencies. Since foreign exchange is such an intricate field, it is not recommended that you invest in foreign exchange without professional advice. If Bitcoin makes you nervous, but you’re still amenable to the notion of investment in cryptocurrency there are plenty of alternatives to Bitcoin to choose from. Many investors are currently jumping ship on Bitcoin and climbing aboard the good ship Litecoin. Etherium and Ripple are slightly more complicated than Bitcoin but there are still many investors who swear by them.